TTF is India’s largest travel trade show network. Since 1989, it provides an annual marketing platform and the opportunity to network with the travel trade in all major cities. OTM is India’s biggest travel trade show on the basis of number of participants, visitors and rented area. It is held every year in February, in Mumbai, the largest source market of Domestic and Outbound tourists. The team of TLC Heritage Of India Ltd. is happy to announced a new website which provide every bit of neccessary and useful information that a traveller to udaipur needs. It has all neccessary information about every geograpical region of rajasthan such as udaipur, jaipur, jaisalmer, jodhpur etc. 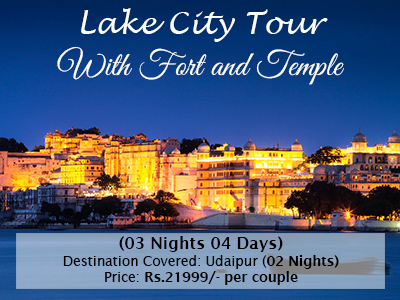 With our new website you can see every bit of information about our hotels in udaipur, jaipur, jaisalmer, jodhpur etc. You can also visit our events and conferences in rajasthan section or can see our Rajasthani wedding portfolio that will show the pictures and videos of various weddings conducted by our professional team of event managers.